Platform game fans are in for a treat this week with the release of one of the genre’s finest examples on SHIELD. 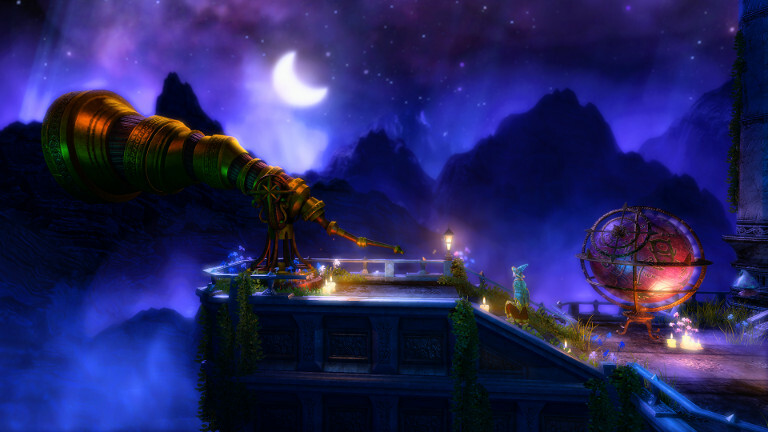 Trine Enchanted Edition has been added to the GeForce NOW library, and it’s free for all members to enjoy. 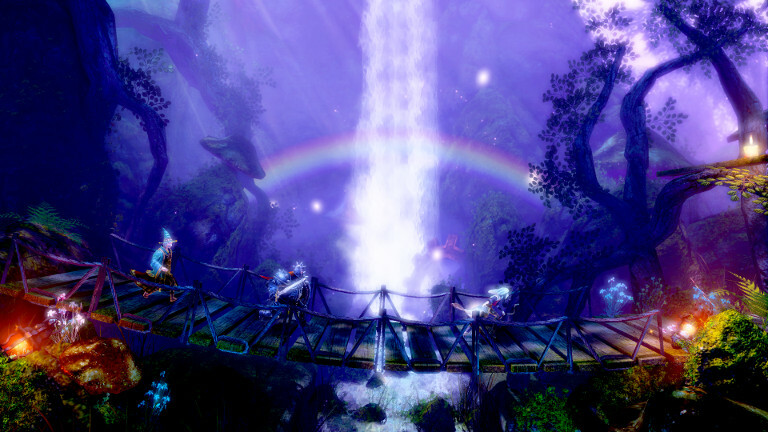 A remake of the original Trine in the Trine 2 engine, the Enchanted Edition is one of the most stunningly beautiful platform games you will find. Better still, that beauty is more than skin deep as the game features solid gameplay mechanics, clever puzzles and an engaging storyline to boot. Trine Enchanted Edition is rated E10+ by the Entertainment Software Rating Board and is recommended for all players over the age of ten. The game is set in a fantasy world that depicts a ruined kingdom filled with massive, dilapidated castles and all sorts of strange machinery. After a period of great prosperity and peace, the king has died without leaving an heir creating instant political instability. An undead army attacked and drove the citizens away, leaving just a small band of adventuring heroes to find a way to restore the land. The heroes in question are a wizard, a knight and a thief who become drawn to a mysterious treasure deep in a dungeon called the Trine that ensnares them. This kicks of a quest to discover the key not only to their freedom, but the kingdom’s as well. The narrative is presented in storybook fashion across 15 large, side-scrolling levels that are brimming with detail, secrets to discover, puzzles to solve and scores of undead enemies to defeat. 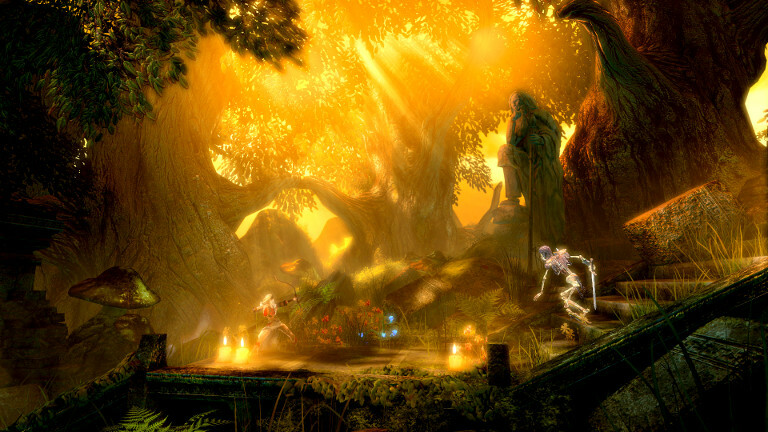 Each level features a unique visual theme and distinct atmosphere ranging from dark dungeons to splendidly colorful crystalline caverns and forests. The heroes have unique abilities that you can call on to get past the various obstacles you’ll encounter, and you can switch amongst them at will. Amadeus the Wizard can conjure simulated objects and levitate them in the gameworld, enabling you to do things like reach ledges you wouldn’t be able to otherwise. Pontius the Knight brings the melee combat pain and can smash objects (and enemies). And Zoya the Thief is the master of the bow and can use a grappling hook to swing from one platform to another. As you play each character they will gain experience you can use to upgrade their abilities, which will be extremely important during the later stages of the game when you encounter stronger enemies and some of the more devious puzzles. Often, you will have to figure out how to combine all three heroes’ abilities to solve a puzzle or defeat a nasty enemy. This is even more fun with family and friends, so take advantage of GeForce NOW’s multi-controller support to play along with two other players in local co-op mode. 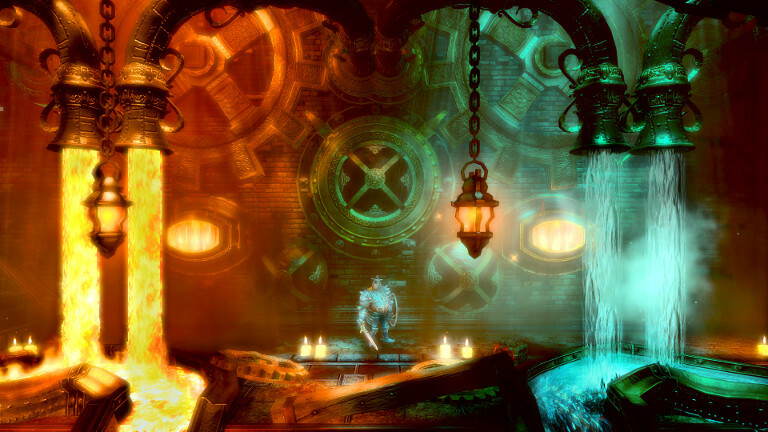 If you missed out on the original Trine there’s no better time to give the game a try. And, the Enchanted Edition’s visual upgrades alone are well worth another play through for veterans of the series. 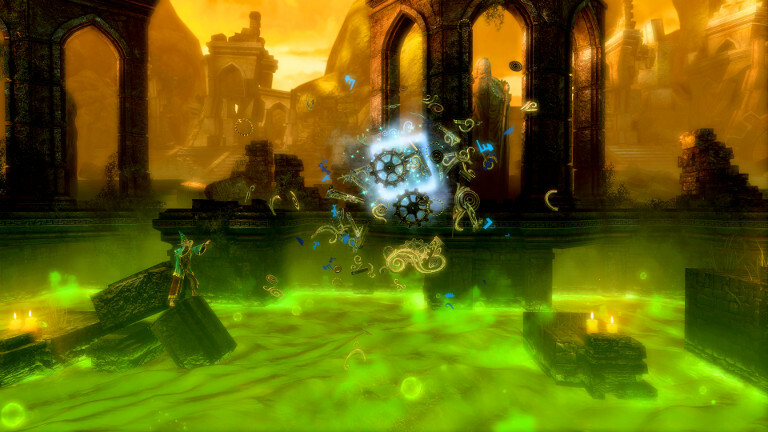 Get Trine Enchanted Edition Free with your GeForce NOW Membership! To play, navigate to the GeForce NOW menu within SHIELD Hub on your SHIELD Android TV, portable or tablet. You’ll find Trine Enchanted Edition in the New for Members category.